SCJs, friends and family came together on June 6 to celebrate the religious jubilees of Fr. Michael Burke, SCJ and Fr John Czyzynski, SCJ (60 years of vows with the Priests of the Sacred Heart); Fr. Frank Burshnick, SCJ, Fr. Joseph Dean, SCJ, Fr. Joseph Doscher, SCJ, Br. Benedict Humpfer, SCJ and Fr. Gregory Speck, SCJ (50 years); Fr. Charles Brown, SCJ and Br. Frank Presto, SCJ (40 years); Fr. Vincent Suparman, SCJ (30 years); and Fr. 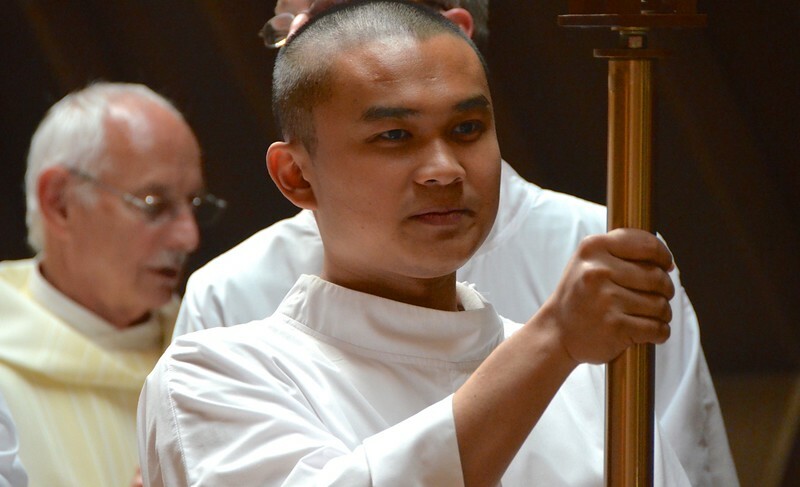 Duy Nguyen, SCJ and Fr. Greg Schill, SCJ (10 years). Fr. Ed Kilianski, SCJ, provincial superior, was the main celebrant and homilist at the Jubilee Mass. Fr Stephen Huffstetter, SCJ, general councilor, was among the concelebrants.